Do Adolescents Understand What They’re Vaping? In the last 3 years, there has been a drastic shift in how U.S. adolescents use tobacco and nicotine. More adolescents now “vape” (that is, use e-cigarettes and similar devices) than smoke cigarettes. Many, but not all, of the liquids that can be used to fill vaping devices, contain nicotine. Although all vaping is harmful to adolescents, there may be additional harm posed by vaping with nicotine. Nicotine harms adolescent brain development and, if youth become addicted nicotine through vaping, they might be more likely to use cigarettes and other tobacco products in the future. The current study provides some evidence that youth may not understand whether they are vaping with or without nicotine. In 2016, we used Facebook to recruit 1,589 US adolescents aged 15-17 who reported using e-cigarettes in the past 30 days. These adolescents completed an online survey assessing a variety of tobacco use behaviors, including items asking whether they usually vape with nicotine, without nicotine, or both. The survey also asked about their understanding of nicotine and other chemicals in the liquids in vaping devices. Most adolescents vaped with nicotine at least some of the time (28% said they usually vaped with nicotine and 39% vaped with both with and without nicotine). Older adolescents and adolescents who smoked cigarettes or used other tobacco products were more likely to vape with nicotine. Misinformation about nicotine was common. Only about one-quarter of respondents knew that the nicotine in e-cigarette liquids is derived from tobacco plants. Most incorrectly believed the nicotine was made artificially in a lab or weren’t sure where the nicotine came from. Adolescents who claimed that they usually vaped without nicotine were especially like to answer the question about nicotine source incorrectly. Most adolescents understood that the aerosol produced by vaping is not “just water vapor”; however, adolescents who usually vaped without nicotine were slightly less likely than those who usually vaped with nicotine to understand this key fact. When asked how they knew if a vaping liquid contained nicotine, adolescents who usually vaped without nicotine had greater difficulty responding. 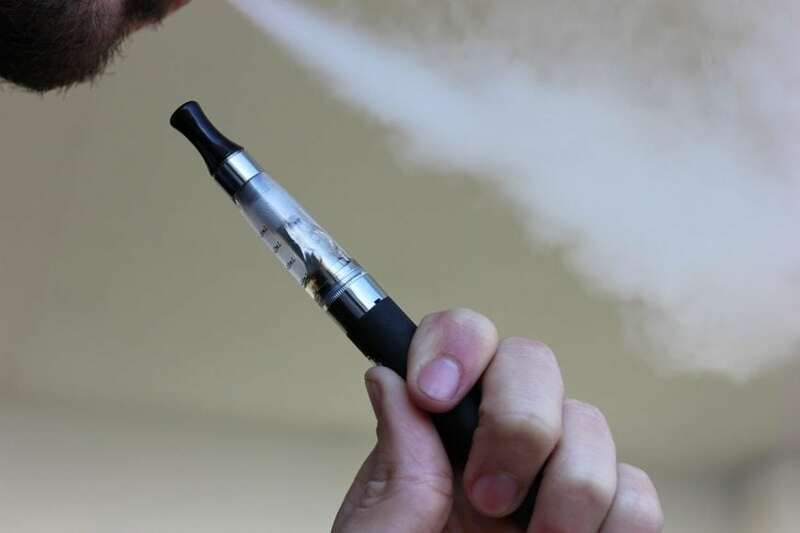 They were less likely than adolescents who usually vaped with nicotine to understand the connection between using nicotine and feeling a buzz and more likely to say that they were not sure how to tell if a liquid had nicotine. Any kind of vaping among adolescents is a major public health problem, but the behavior poses additional concerns when it involves nicotine. These study results suggest that most adolescents lack basic information about the nicotine in e-cigarettes and often believe it is made artificially in laboratories, rather than coming from tobacco plants. Although synthetic nicotine is commercially available in the United States, it is expensive and rare. The preponderance of youth who believe that the nicotine in vaping liquid is synthetic is concerning because these adolescents may believe that this nicotine is “safer” than the nicotine in other tobacco products. Adolescents who claim to usually vape without nicotine are less likely to answer questions about nicotine correctly, calling into question their ability to accurately report their behavior. These adolescents might be vaping with nicotine without realizing it. These findings are described in the article Adolescents’ understanding and use of nicotine in e-cigarettes, recently published in the journal Addictive Behaviors. This work was conducted by Jessica Pepper, Matthew Farrelly, and Kimberly Watson at RTI International. Jessica Pepper, a social scientist with RTI’s Center for Health Policy Science and Tobacco Research, studies e-cigarettes and other electronic vapor products. She authored some of the first studies on risk beliefs and reasons for use of e-cigarettes, including the first systematic review of e-cigarette awareness, use, and perceptions, published in the journal Tobacco Control. She currently works on RTI’s Grand Challenge project, a multidisciplinary initiative to advance scientific research on e-cigarettes in the context of health, public policy, pharmacology, toxicology, aerosol technology, and health communications. Dr. Pepper also studies multiple tobacco product use, cigarette warning labels, and risk perceptions of tobacco products. She has expertise in e-cigarette measurement issues and has contributed to survey design and development for studies conducted by the Centers for Disease Control and Prevention and the Florida Department of Health, among others. Dr. Pepper joined RTI in 2016. Previously, she was a doctoral student and postdoctoral fellow at the University of North Carolina, where she received multiple awards for her work, including the Royster Society’s Pogue Fellowship.